Pizza del Territorio has an irresistible fragrance of Emilia-Romagna. 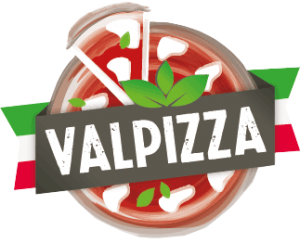 As everyone knows, pizza is Italy’s most world-famous product, and ours is made entirely in our region, in partnership with local businesses, in complete accordance with tradition. 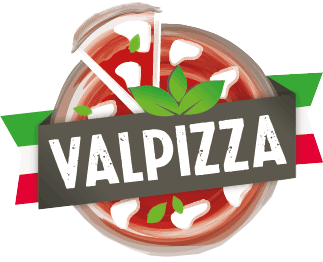 Pizza del Territorio is made at Valpizza in the hills of Castello di Serravalle, not far from Bologna. Drawing on more than twenty years’ experience in the sector, we skilfully blend the best, choice quality local raw materials: from Flours made by Molino Naldoni of Faenza using wheat grown exclusively for Valpizza to the Cervia Coarse Sea Salt that gives the dough a special flavour, to La Bondeno Tomato Pulp made from tomatoes grown near Ferrara and, to conclude, Valcolatte Mozzarella, made from milk from dairy farms in the Po Valley. 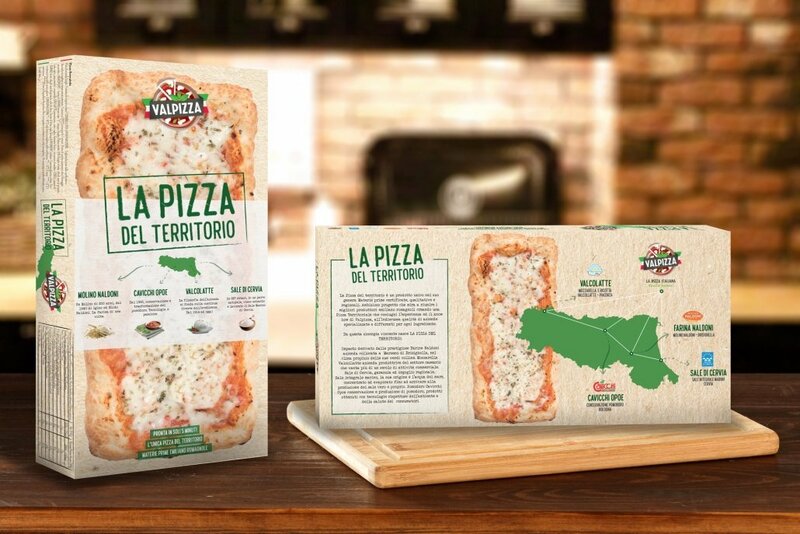 We make Pizza del Territorio in the traditional way: the day before production, we prepare the dough using only plain, natural ingredients (flour, water, oil, salt and yeast) and we allow it to leaven for 24 hours at controlled temperature and humidity. The day after we make the dough, we form it into pizza-sized balls and allow them to leaven some more before stretching them by hand. Pizza del Territorio is also unique in shape: a hand-made thick country slice, stone-baked in a wood-fired oven and topped with tomato and mozzarella cheese. At home, you can cook it and heat it exactly as we supply it, or complete it with your own favourite ingredients, before or after cooking. It is a perfect cocktail nibble or snack, or even a great lunch or dinner! 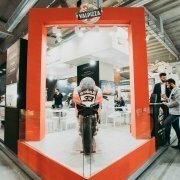 Chicago Exhibition PLMA Chicago – Valpizza Presente!